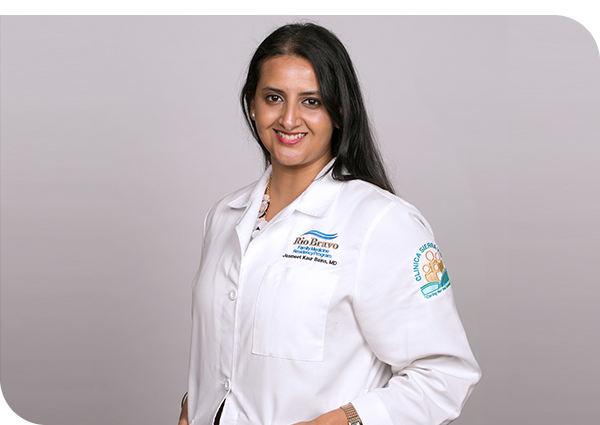 “My vision of a family med physician is someone that is able to see you (and) ... knows you from the day you were born until the day you hit the ground.” – Jasmeet Bains, M.D. Jasmeet Bains was working at her father’s car dealership in Taft, selling cars and doing accounting work, when the stock market crash in 2008 forced her to come to a few realizations. Around the same time, Bains’ close friend suffered a heart attack in his home. With no hospital in Taft, the friend’s only option was to call emergency services. He died in the 20 to 30 minutes it took them to arrive, Bains said. “It angered me that such basic level of healthcare cannot be provided for people at the time that they need it most,” Bains said. Bains decided to reverse course and go to medical school to become a doctor. She attended medical school at the American University of Antigua, graduating in 2013, and then returned to Kern County to do her residency with the Rio Bravo Family Medicine Residency Program at Clinica Sierra Vista in Bakersfield. Read more in the Bakersfield Californian.